French Women Don’t Get Fat. They Eat At Petrossian. In a collaborative effortÂ that is decidedly Francophile,Â Mireille GuilianoÂ – former CEO of Clicquot and author of New York Times Best Seller, French Women Don’t Get Fat -Â will be hosting a special caviar tasting dinner at Petrossian on Robertson Blvd. Diners will be celebrating Guiliano’s follow-up book, Women, Work and The Art of Savoir Faire as well as partaking in the fruits ofÂ James Beard Rising Star ChefÂ semi-finalist Chef Ben Bailly’s culinary talents. 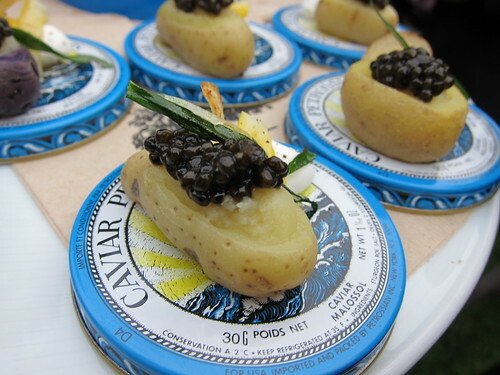 AÂ caviar presentation will kick off your night. And when the courses startÂ rolling out, brace yourself for deliciousÂ menu tems like Caviar Surprise with King crab, Apple Jelly and Caviar; or Green Bean Salad with Burrata and Caviar. Wash those down with a glass ofÂ ChampagneÂ alongside Mireille herself, and it’ll be a night to remember. You’ll go home with a signed copy of her new book for a keepsake. Call Petrossian to reserve your spot. This entry was posted in Events, Food, Mid-City West, robertson and tagged boutique, caviar, Chef Benjamin Bailly, Food, French, French food, French Women Don't Get Fat, L.A., los angeles, Mireille Guiliano, Petrossian, presentation, restaurant, robertson, tasting, West Hollywood, Women Work & The Art of Savoir Faire. Bookmark the permalink.